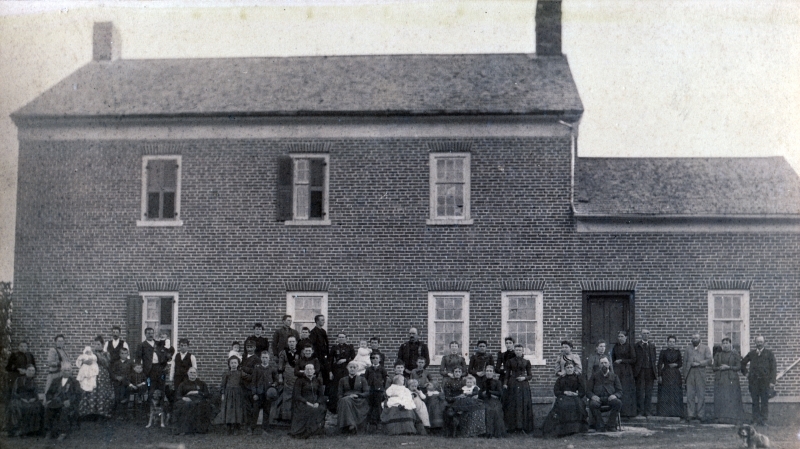 This is a black and white photograph of a brick building where the Ollin Reunion was held. This is the first brick house in Shaftsbury. There are two chimneys atop the roof and the windows are 6'6 sash. 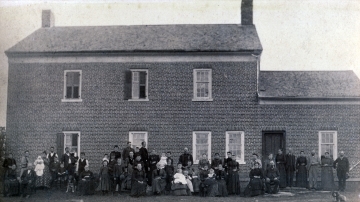 There are many individuals; men, women, boys, and girls, sitting on front of the brick building. To the far right side of the photo is a small dog.